Slit systems used to vertically or horizontally define the beam are typically based on individual slit blades which are used to form an aperture. 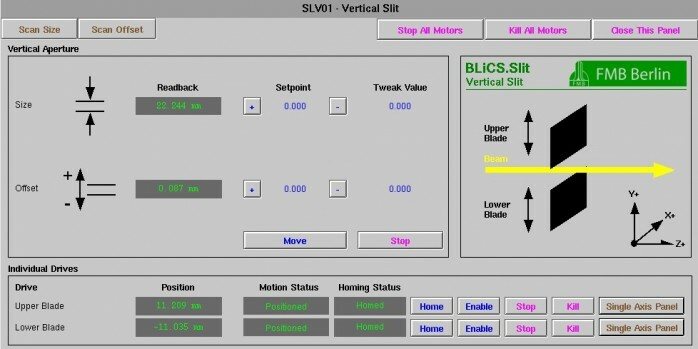 The BLiCS.Slit software allows operating slits by specifying size and offset of the aperture. 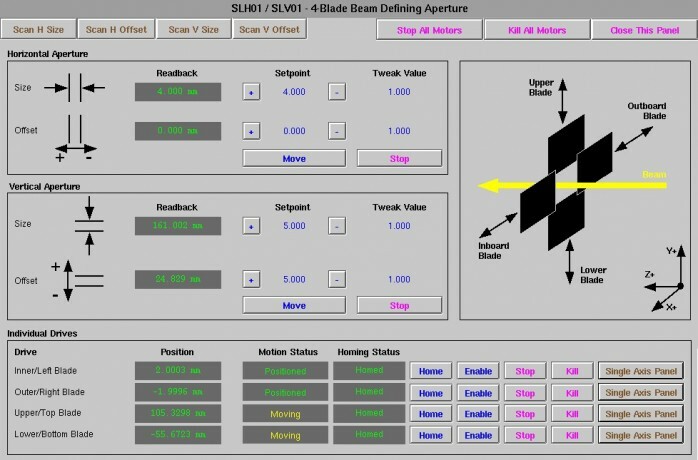 The actual read back values are calculated from the slit blade position and displayed. Positioning is possible by specifying a set point by tweaking.